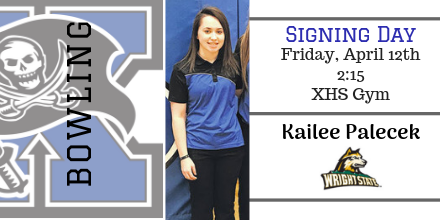 Senior girls bowler Kailee Palecek will have her commitment ceremony Friday at 2:15pm in the high school auditorium. Kailee will be continuing her academic and bowling career at Wright State University. Congratulations Kailee!